General James Harold “Jimmy” Doolittle was a well decorated aeronautical engineer, pioneering pilot, military strategist and a combat leader. 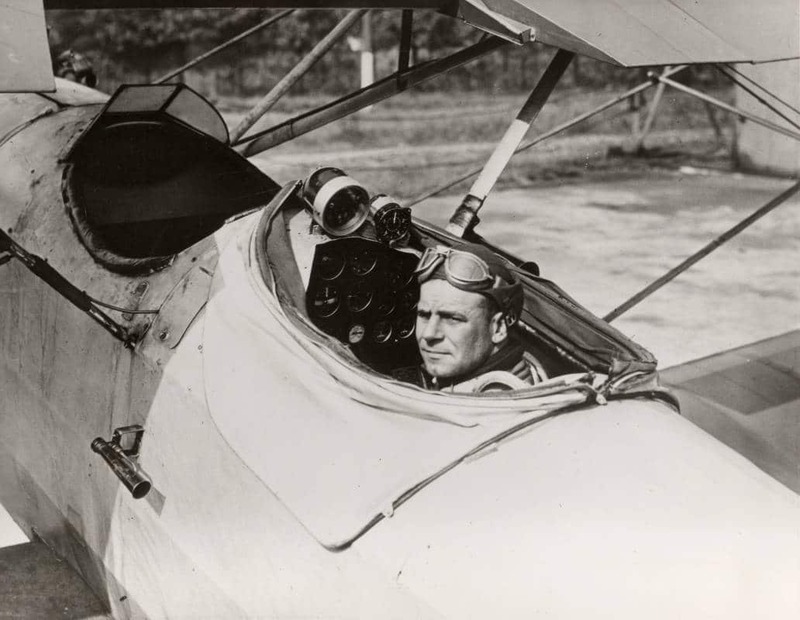 General James Harold “Jimmy” Doolittle (1896-1993) was a well decorated aeronautical engineer, pioneering pilot, military strategist and a combat leader whose military career started during the First World War and ended at the peak of the Cold War. 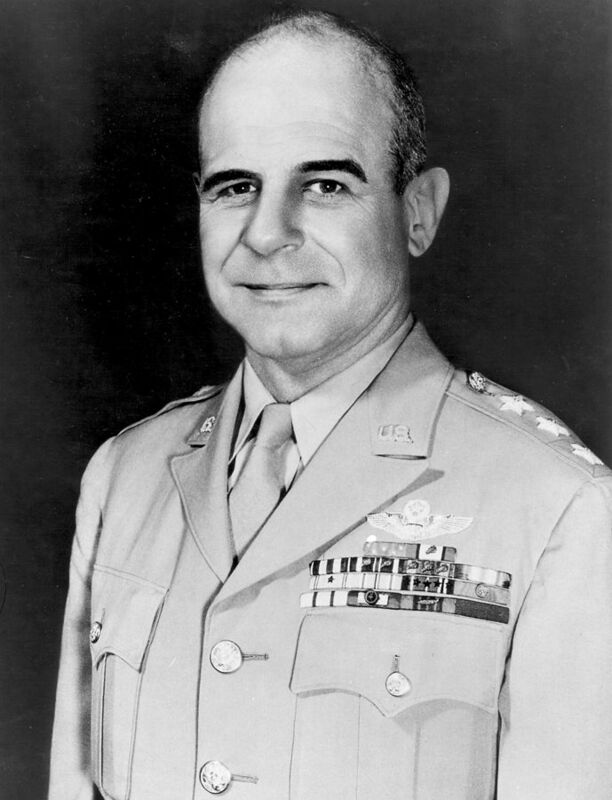 Jimmy Doolittle is most remembered for leading American raid on Japanese mainland during the Second World War. During the attack, Doolittle’s 16 airplanes dropped their bombs and then flew to land in the Soviet Union and China due to lacking enough fuel to return their carrier. James left a lasting legacy to the aviation world. In this article, we look at this man, his main achievements and why he still plays a significant role in nurturing today’s military pilots more than two decades after his death. James Doolittle’s roots are traced to Alameda, California where he was born in 1893. He was born to Frank Henry Doolittle and Rose (or Rosa) Cerenah Shephard. He spent his youthful years in Nome, Alaska and it is here that he earned the reputation of a skilled boxer. By the time he was 17 years (1910), James had started to attend school in Los Angeles. His first opportunity to set sights on an airplane was that same year, at the Los Angeles International Air Meet of 1910 at Dominguez Field. He graduated from Manual Arts High School in LA and then proceeded to attend Los Angeles City College. Later, James would win admission to join the University of California, in Berkeley. While here, he enrolled in the School of Mines. Doolittle joined the Theta Kappa Nu fraternity, and this later merged into Lambda Chi Alpha during the Great Depression. In October 1917, Doolittle would take leave of absence to enlist as flying cadet in Signal Corps Reserve. It is at the School of Military Science within University of California campus that he ground-trained while his flight training took place at Rockwell Field in California. Consequently, he received his Reserve Military Aviator rating before being commissioned as second lieutenant in Signal Officers Reserve Corps of the US Army on the 11th of March, 1918. Doolittle was to receive his regular commission as well as promotion to 1st lieutenant on July 1st, 1920. After that, Doolittle enrolled for courses in Aeronautical Engineering and Air Service Mechanical College at McCook and Kelly Field, Ohio, respectively. He was to wait until two years later (in September of 1922) to make his first pioneering flight which earned him important aviation trophies and worldwide recognition. During his first cross-country voyage, he flew one DH-4 aircraft equipped with rather crude navigational instruments from Pablo Beach to San Diego in a record time of 21 hours, 19 minutes. During the whole journey, he stopped only once in Kelly Field to refuel. As recognition of this outstanding feat, he was given a very important distinction by the US Military: the Distinguished Flying Cross. It was during the same year that he got a Bachelor of Arts degree from the University of California. Doolittle was to enroll at Massachusetts Institute of Technology to study special aeronautical courses, graduating the year after with Masters of Science degree. A year later, he earned his doctorate degree in Aeronautics. He was among the first people in the US to get the degree. You would think that with this degree, Doolittle would take a break, but this was not the case. In March 1924, Doolittle served at the McCook Field where he conducted aircraft acceleration tests. He was next posted to Naval Air Station, Washington DC in June 1925. During this tune, he underwent training on how to fly high-speed seaplanes. He also served briefly at Mitchel, in New York, with the Naval Test Board. He was a common figure in the airspeed record attempts, especially in the New York region. He emerged victorious in Schneider Cup Race in 1925, clocking an average speed of 232 mph. He was riding a Curtiss Navy Racer that was equipped with pontoons. The seaplane was the fastest seaplane that Doolittle had ever ridden, and his performance in the race won him the Mackay Trophy the following year. In the April of 1926, Doolittle took leave to visit South America and attend airplane demonstration flights. While in Chile, he broke both ankles, but still managed to put the Curtiss P-1 through great aerial maneuvers, even after having both ankles set in casts. Upon returning to the US, he spent one year in Walter Reed Hospital undergoing treatment for his injuries. He was later assigned once again to McCook Field as a tutor with the Organized Reserves of the 5th Corps Area’s 385th Bomb Squadron. In September of 1928, he returned to Mitchel Field where he helped with the development and building of fog flying devices. He assisted in developing the now universal and still used artificial horizon and directional gyroscopes. He also made the first flight totally by instruments during this time. He was the subject of a lot of media attention thanks to this “blind” flying feat and later on even received Harmon Trophy for his role in the experiments. At the beginning of 1930, he acted as the Army adviser on the construction of Floyd Bennett Airport in New York City. Doolittle then resigned from his regular commission on February 15th, 1930 before being commissioned a Specialist Reserve Corps major one month later. He was also appointed the manager of the Aviation Department at Shell Oil. While holding this position, he took part in numerous aviation tests, and also accompanied the Army many times to perform additional tests. This led him to set the top high-speed record in the world for land planes. He became an Army Board member in April 1934, and a year later, Doolittle was moved to Air Corps Reserve. His star continued to rise, and in 1940, Doolittle became president of the Institute of Aeronautical Science. Later in 1940, he resumed active duty not only as a major but also as the deputy supervisor of Central Air Corps Procurement District based in Indianapolis and Detroit. While here, James H. Doolittle worked with big auto manufacturers on converting their automobile factories into plane factories. He went to England in August the following year and came back with information regarding the military and air forces of other countries. Doolittle is probably best remembered for the Doolittle Raid, the attack that he led on Japan in 1942 during World War 2. Doolittle volunteered and got approval from General Arnold to lead an attack using 16 midsized B-25 midsized launching from the USS Hornet, hitting targets in Tokyo, Kobe, Yokohama, Osaka, and Nagoya. 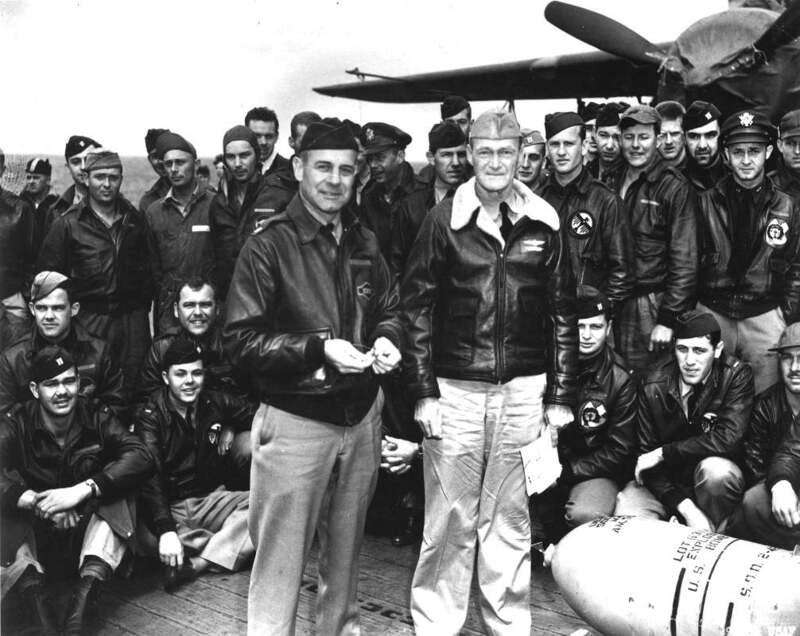 The raid couldn’t have come at a better moment, and not only won General Doolittle the Medal of Honor but also effectively sealed his place as a legendary aviator. After going through some rigorous training in Florida, Doolittle, and his aircraft made the journey to California to board the USS Hornet. On April 18th, the bombers took off and successfully reached and bombed their targets. Due to unusually high fuel consumption, rather that returning to the aircraft carrier, fifteen of the bombers headed for an airfield in China, and one headed for Russia. However, after twelve hours of flight, most of the crews weren’t even able to make it to the airfield and had to bail out. It was dark, raining and they landed behind enemy lines. With the help of Chinese soldiers and an American missionary named John Birch, most of the crewmen were able to make it to safety. However, 7 brave soldiers lost their lives in the aftermath of the raid. After making it to safety, Doolittle and the surviving men were all re-assigned and continued bravely serving their country. Doolittle flew additional combat missions with the 12th Air Force in North Africa, serving with distinction and receiving four additional Air Medals. The Doolittle Raid had another important effect. Four months after the attack on the Pearl Harbor, the US was thrust deep into the war effort, and the American people found themselves in a gloomy place, with morale spiraling downward. There had been reports of American forces having been defeated by Japanese in the Philippines. And in Europe, the Allied forces continued suffering losses at the hands of the Axis powers. Just as it appeared like all was doom and gloom, the Doolittle raiders brought the war right on the Japanese turf. Not only did this give America a genuine World War Two hero in Jimmy Doolittle, it lifted the spirits of the American people. It also made the world aware of the fact that Japan was vulnerable to attacks, and this raid left a lingering threat that a repeat was very possible. The Japanese now had to play defense. They recalled a strong carrier fleet from the Indian Ocean that had been attacking the East African coast after defeating the British Eastern Fleet. Additionally, fighter planes that Japan badly needed in South Pacific areas were recalled to provide protection to aircraft factories, shipyards, and other likely targets. This move helped the US gain a commanding foothold at Guadalcanal 4 months after Doolittle raid. In a ceremony held after the raid, Doolittle received the Medal of Honor and was promoted to the rank of Brigadier General, skipping a full rank. During the summer of 1946, Doolittle traveled to Stockholm, Sweden, where he was consulted on “Ghost rockets” which had been sighted over Scandinavia. The following year, he achieved he became the Air Force Association’s first president. Then, in March 1951, the Doolittle was appointed as special assistant to Chief of Staff of the Air Force. He served as a civilian in matters of science and helped start both space and Air Force ballistic missile programs. Following the wake of two airplane crashes which occurred within two months at Elizabeth in New Jersey, President Truman appointed Doolittle to head a commission to examine the safety of the urban airports. The report issued by this commission gave birth to zoning requirements for all buildings near approaches, early noise control considerations, and work on “super airports”, or airports that sported 10,000+ foot runways that could take 150-ton aircraft. 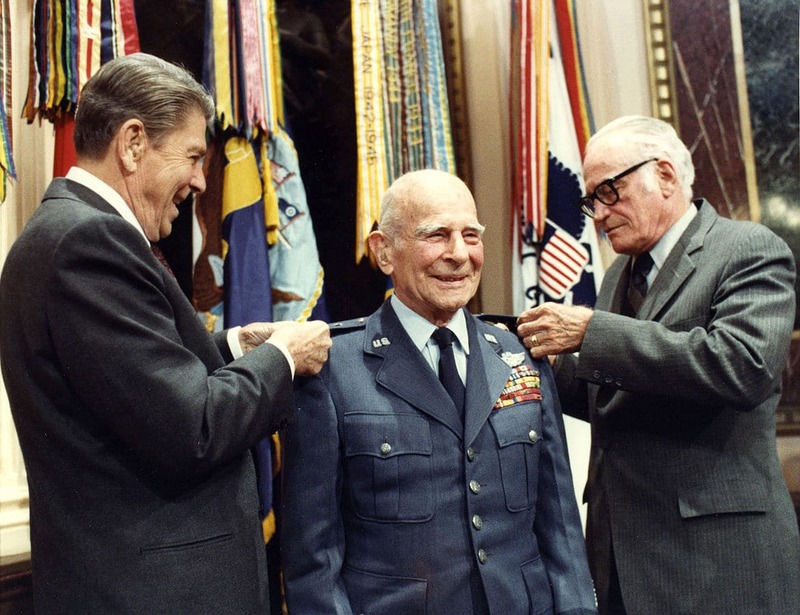 On February 28th, 1959, Jimmy Doolittle retired from his duties at Air Force Reserve. However, he held onto his other positions, which included being the head of TRW Space Technology Laboratories. As a further honor, Doolittle was given with Tony Jannus Award, in appreciation for his incredible contributions to the field of commercial aviation. In 1985, at a ceremony with Ronald Reagan, he was promoted to the rank of a full 4-star general on US Air Force retired list. On September 28th, 1993, the world lost a brilliant pilot who achieved everything he set out to achieve. He died at age 96, but his legacy continues on. He left an indelible mark in the aviation industry and will be remembered for his distinguished career, contributions to aviation and science, and his role in sparking the American spirit and helping to defeat Japan during World War II.